The Justice Department is infamous for conducting long investigations of its own attorneys and finding no grounds for criminal charges as in the dubious investigation of attorneys involved in the torture program. Now, a special prosecutor has found that (surprise) there is no basis for criminal charges against Justice Department officials who concealed evidence in the prosecution of former U.S. Sen. Ted Stevens in open contempt of court. The reason is something only found plausible in the Justice Department’s review of its own conduct: U.S. District Judge Emmet Sullivan failed to order them not to conceal evidence and comply with ethical rules. I kid you not. Henry F. Schuelke III believes that it is necessary for Justice officials to be formally ordered to act in a lawful and ethical matter for there to be a basis for criminal contempt. He basically blames Sullivan for never explicitly demanding that the government comply with legal and ethical rules in turning over exculpatory evidence in the political corruption case. 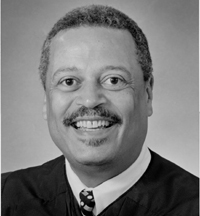 Judge Sullivan offered a rather obvious, and one would think sufficient, reason for not issuing such an order: “Because the court accepted the prosecutors’ repeated assertions that they were complying with their obligations and proceeding in good faith, the court did not issue a clear and unequivocal order directing the attorneys to follow the law.” I have been laboring under the same illusion that we were all subject to legal and ethical rule without a formal order from the court. While there is certainly room to debate whether criminal sanctions should apply, this is a rather shocking reason. Schuelke a former Justice official who served for seven years as an Assistant United States Attorney for the District of Columbia, including three years as Executive Assistant United States Attorney. In Cooke v. United States, 267 U.S. 517, 534 (1925), the Supreme Court reviewed a criminal contempt sanction for a lawyer who sent a “contemptuous” letter to a federal district judge. The Court affirmed the power of the courts to summarily find an individual guilty of criminal contempt if the misconduct at issue occurs “directly under the eye or within the view of the court” where the court may proceed “upon its own knowledge of the facts, without further proof, without issue or trial, and without hearing an explanation of the motives of the offender.” Otherwise, the Court mandated that due process rights were required for a full hearing on the basis for the charge. Here, the investigation appears to confirm the knowing concealment of evidence from both the defendant and the Court. Thus, recently a criminal contempt sanction against a private attorney was upheld for simply using a vulgarity in court, but the systemic concealment of evidence to deprive a person of his rights is viewed as outside the rules unless they are ordered to act ethically. See In Re Sealed Case, 627 F.3d 1235 (D.C. Cir. 2010). For the record, I am co-lead counsel in the World Bank case (Chang) which involves allegation of the concealment and destruction of evidence by the District of Columbia. innocent you may have to pay the $250. Companies offer extended warranty automobile insurance plans at various levels. can apply for a non-owner’s SR-22 policy. Now can the bank robber use as his defense that he wasn’t specifally ordered not to rob a bank? Or does this type of defense only apply to insiders? This is also at the heart of the Penn State case. While it is about abuse of children, it is also about cronyism and institutional protection, that is taking place in the example here, as it relates to Wall Street and the economic collapse, as it relates to actors in the the prior administration not being held accountable for their myriad of illegal activities. I would think that following legal and ethical rules is part of the job description for attorneys. Personal anecdote: went to fee dispute against lawyer who relied on pro se’s work and essentially did nothing more then write a brief but got nice 1/3 compensation of forced settlement. It went in my favor: I was awarded very low 5 figure additional monies, but letter wrote, ‘you win’ but we find in favor of attorney. Now he has no fee dispute loss against him when people investigate. Lawyers investigating lawyers, same as cop thin blue line, doc thin blue line, etc. This is why so many in gov’t get away with their wrongdoings: wrongdoers (or potential wrongdoers) investigating wronddoers. (Hopefully Diogenes one honest man serves also but beginning more and more to understand and catch his cynicism. My partner volunteers as a hearing officer for the ARDC here in Chicago. You know who you never, and I mean never, see in front of the board? Prosecutors, state or federal. There have been numerous cases in Illinois were people spent decades in prison, in some of these cases it was found that the State withheld exculpatory evidence. The main reason this persists is that it is largely left to the defense bar to make complaints. The reality is if a defense attorney refers a State’s Attorney or an AUSA to the bar that defense attorney will become a pariah in the court house from then on. The judges also bend over backwards to protect prosecutors from allegations of misconduct. Even if a layperson defendant brings the complaint, the defense attorney is going to be asked to comment in writting or in person before a hearing board. The recent THOMPSON case out of the Supreme Court make’s it even less likely state and federal prosecutors are going to police themselves. I know the Illinois ARDC works slowly, but these guys should be forced to argue why they should not be cited. This is an amazing decision. I would think that the ethical rules that all attorneys work under would cover these US Attorneys. Can’t their respective bar associations take their licenses? Because… all libertarians believe in the illuminati? Its also amusing how I hear that police, as agents of the government protect us, so when they violate someone’s rights instead of protecting them, you guys pull all kinds of mental gymnastics to esculpate the government and lay the blame on something, anything else. the American Bar association needs to have a divided house, such as senate and congress, in order to better watch over the conduct of attorneys. I’m open to other suggestions, but attorneys literally get away with murder and make the victims families look like the bad guys for alleged false accusations. Something needs to be done to uphold and require stricter standards and stronger penalties for attorneys breaking the ABA code of conduct rules…which were, of course, written by the attorneys. Why not have the alleged victims and the alleged assailants of 1,000 cases write codes of attorney conduct just for those thousand cases and see how that changes history. I would hate to have to listen to Shakespeare, in Henry VIII, and adhere to “first kill all the lawyers” although that is seemingly line the only option. Neither Professor Turley, nor anyone else commenting at his blog can understand your decision. I would like to invite you to read Professor Turley’s blog, and comment at the above link. I am certain we would all appreciate hearing you clarify what has been reported, and explain the logic behind what would appear to be such an unusual conclusion. Don’t hold your breathe. A more effective way of getting his attention would be to file a compaint with his Bar Association. I think that somebody needs to see if he is fit to practice law. It is up to lawyers to bring him to account. I see Henry F. Schuelke III, Esq. is listed as a Super Lawyer! Mere titles do not a royal make. This really is comical. I am hopefull that Mr. Schuelke will apply the same logic to an employee of his who steals from the office and proffers the excuse that he was not specifically instructed not to do it. I was at a forum popular with lawyers and professors yesterday, and I pointed out the enormous numbers of false and bogus TROs obtained that even judges and lawyers complain about this in their journals. I said, lawyers knoiw that the first thing in a divorce is to get a TRO against the other party, whether it’s warranted or not. And they know how to get their client to understand that, and then demand a TRO and file whatever affidavits are required to do so. And there is never any punishment for perjury or anything and the lawyers are never held accountable when the TRO invariably is overturned, months later, after doing its damage. 1) This never happens. And when it does, it’s certainly not condoned by lawyers. 3) It’s the clients at fault. The lawyers are helpless and don’t even know it’s happening. So judges and lawyers complain about the thousands of bogus TROs, and a lawyer chimes in to first deny it happens, then to blame it on clients, and the lawyers themselves could never be contributing to this mess and are all fine ethical creatures that would never encourage the filing of bogus charges. And that’s reason n of infinity of why people hate lawyers and would like to see them impaled on a pike. Consider an alternate world novel in which the Taliban crashed planes into the nation’s top four law schools and then said, “we wanted to apologize for Bamiyan”.